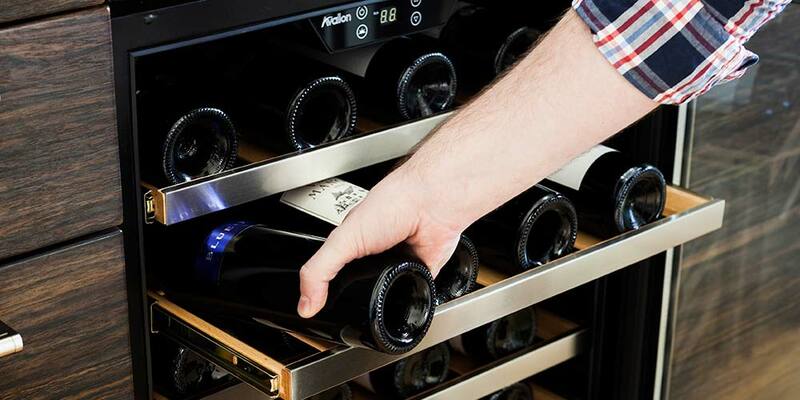 Whether you’ve just unpacked your brand new wine cooler or you’ve had one for years, it’s important to ensure you do all that you can to keep it running smoothly. 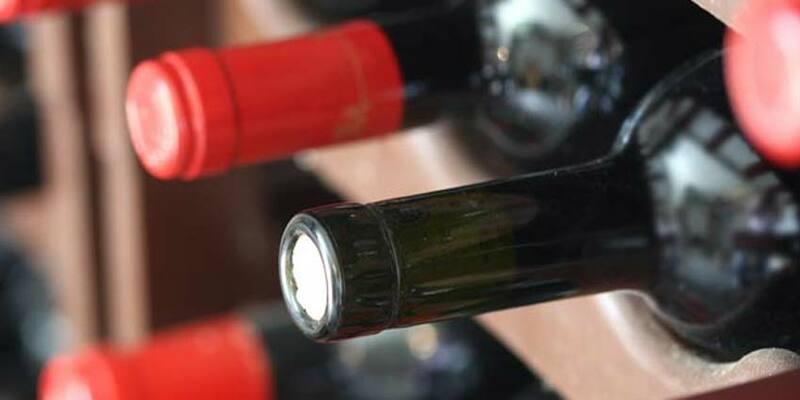 Although wine refrigerators are very low maintenance appliances, there are a few things you can do to help boost the efficiency and longevity of your unit. Below, we’ve highlighted five maintenance tips that can help ensure you and your wine refrigerator have a long and happy life together. 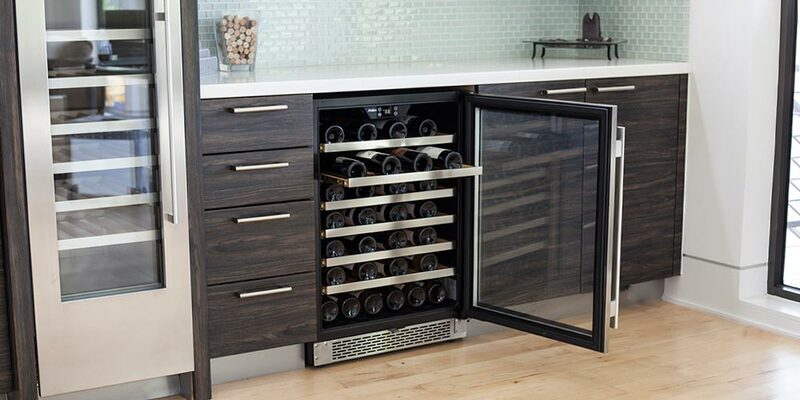 Where you choose to place your wine refrigerator can mean all the difference. 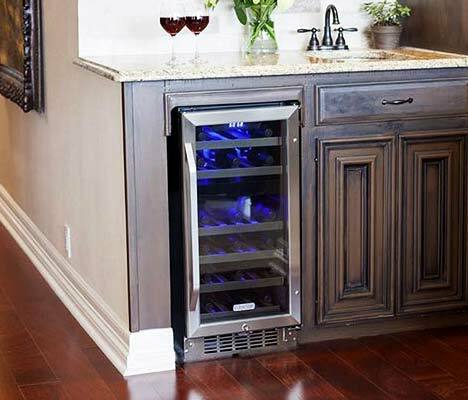 When you are choosing where to put your wine cooler, consider the following factors. Whether or not your unit has front ventilation will mostly determine your placement options, so let’s take this on right at the start. If it has front ventilation, you can place this unit under the counter, build it in flush-with-cabinetry, or place it somewhere on its own. If it does not have front ventilation, you’ll want to refrain from placing it in any sort of confined space. Anywhere else will be fine. If you do place it in a tight space, it is strongly recommended that you leave 2 to 4 inches on each side to allow proper ventilation. Other things to consider when deciding placement are ambient temperature and proximity to windows or other sources of heat. Wine is very sensitive to heat, as well as UV rays. 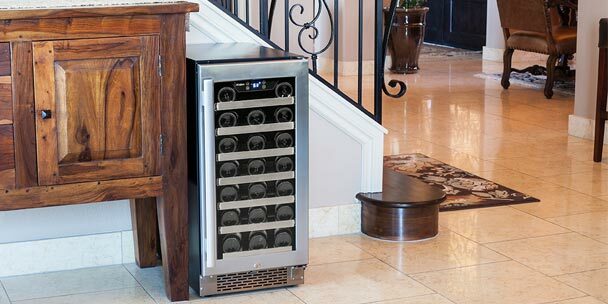 The temperature of the area you place your wine fridge should not fall below 60°F or go above 90°F. 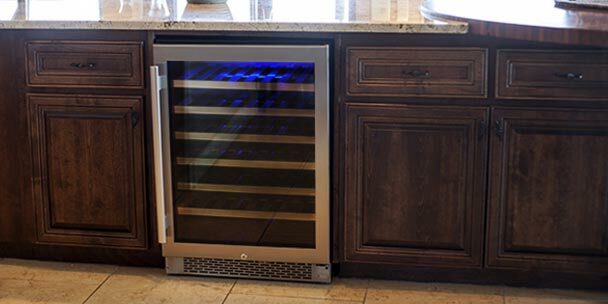 No matter what type of wine cooler you buy, the unit should not be placed in an area that receives lots of direct sunlight, especially if they feature a glass door. If your intended placement does receive some sunlight, be sure to purchase a unit with a tinted and/or dual pane glass door. This will help protect your wine from potential harm from UV rays. Other places to avoid are next to other appliances that dissipate heat, such as an oven, dishwasher, washer, or dryer. 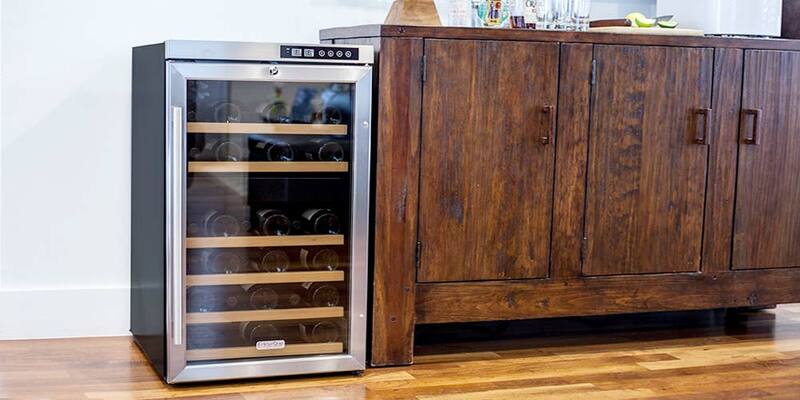 Once you’ve decided the perfect location for your wine fridge, the next step is to properly install it. This is one of the most important ways to ensure smooth operation. Once you’ve unpacked your unit, let it stand upright for at least 24 hours. This allows all of the inner components that may have been rattled in shipping to settle themselves. It is also important to level your wine refrigerator. Place a carpenter’s level, which are available at any local hardware store, on the top of your unit to see if any leveling needs to take place. Most wine refrigerators are already equipped with leveling legs. To adjust these, you simply turn them to the right to lower or to the left to raise. After it’s been leveled, it is ready to be plugged in. To ensure proper grounding, be sure to plug it into a 3-hole electrical outlet. This greatly decreases the possibility of a shock hazard. It is important for your wine and the unit to not overload your wine refrigerator. Unless it is specifically noted by the manufacturer, bottle capacities are based on Bordeaux-style 750 mL wine bottles. If you have Champagne, Bordeaux, Riesling, or other rare wine varietal with varied bottle shapes, the stated bottle capacity will not apply. It’s always best to buy a unit with a larger capacity than needed, rather than try to force your varied collection in to a too small wine refrigerator. Reaching the perfect capacity, or not reaching capacity, will ensure each bottle is properly cooled and ready to serve. If the capacity of the wine fridge is exceeded, you run the risk of hot spots within the device that may lead to your wine going bad. If not resolved in a timely manner, the overworked fridge will likely start to experience other operational issues. An occasional cleaning of your unit will ensure that it performs at its best. This is also a good opportunity to ensure that no unseemly buildups of frost or moisture are occurring in places where you cannot readily see. To do this, disconnect the power to the unit. Remove all bottles and shelves from inside. Be sure to keep your collection in a cool, dark place while you finish cleaning. With a clean, soft cloth, simply wipe down in the interior, noting anything that comes off onto the cloth. Once the interior has been wiped clean, reconnect power to the unit. Once it’s cooled down, reinsert shelves and bottles. If you do this every 6 months or so, you’ll have a clean wine refrigerator and will be able to detect any potential problems quicker than if you never paid any attention to the interior of your unit. 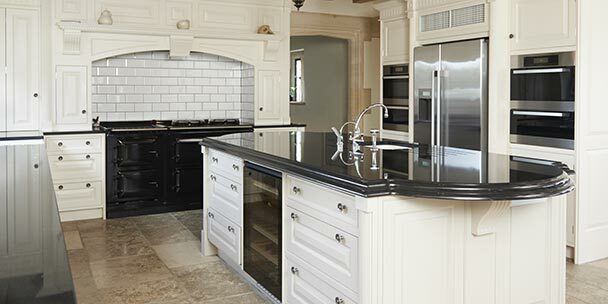 Some wine refrigerators come with a carbon filtration system integrated into the interior. This is a fantastic innovation as acts like a natural barrier against odors that can otherwise permeate the cork and seep into your wine. It is important that these filters are changed out every 3–6 months, or they can become clogged and will no longer do their job. If you are purchasing a wine cooler with carbon filtration, it is smart to go ahead and purchase a few replacement filters, as well. For many people, their wine collection is an investment. And a wine cooler is a great way to protect that investment. Be sure you pay attention to your investment in your investment by taking good care and properly maintaining your wine fridge. 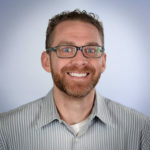 The lead in to your opinions/tips on selecting a wine cooler said that the decision between thermoelectric and compressor cooling systems would be addressed. I did not read a word about this? Can you provide any info on the reliability and noise of purchasing a wine cooler with either one of these systems?? Pls identify which model is in this article? we have two in counter mini wine refrig with front ventilation. Is there an average run time for this type of refrig? Seems to run quite often. U-Line.